The green, rolling hills of the Harz Mountains look as though they came straight out of a fairy tale; in fact, these mountains are where many of Germany’s fairy tales first saw the light of day. Cobblestoned streets and lushly darkened forests with cottages reminiscent of Hansel and Gretel populate these hills. There’s just something about seeing the Harz Mountains that conjures up memories from childhood: memories of bedtime stories you were read as a child seem to have been stolen and painted into the streams rushing through the wooded valleys. You’ll think of the dwarves whistling while they worked, and the lonesome hermit tucked away in a brown cottage with white shutters, somewhere deep in the forest – somewhere you might have to leave a trail of breadcrumbs to just to find your way back out again. These images were the ones that inspired the Brothers Grimm stories. In fact, a tiny cottage town known as Kassel, which lies about forty miles away, was one of their primary story-collecting areas. Even before the Brothers Grimm, however, these mountains were an important source for Germany’s folklore. In fact, many of the stories you remember from childhood were written about these very mountains and forests, such as Cinderella, Sleeping Beauty, Rumpelstiltskin, and yes, even Hansel and Gretel. While many of the stories from this region have a worldwide following, there were many fairytales that remained within Germany, lesser-known, but with a following just the same. One of the ways in which those who lived here made a living was via the region’s several silver mines. Many fathers left their families to go work underground for the mining companies, and the little towns became wealthy due to the mined silver. One of the most famous of all fairy tales, Snow White and the Seven Dwarves, illustrates this quite vividly. The men spent such time underground that when they would return to their families, they would be “shorter,” simply because they had spent so much time slouching and bent over that they no longer stood up straight. 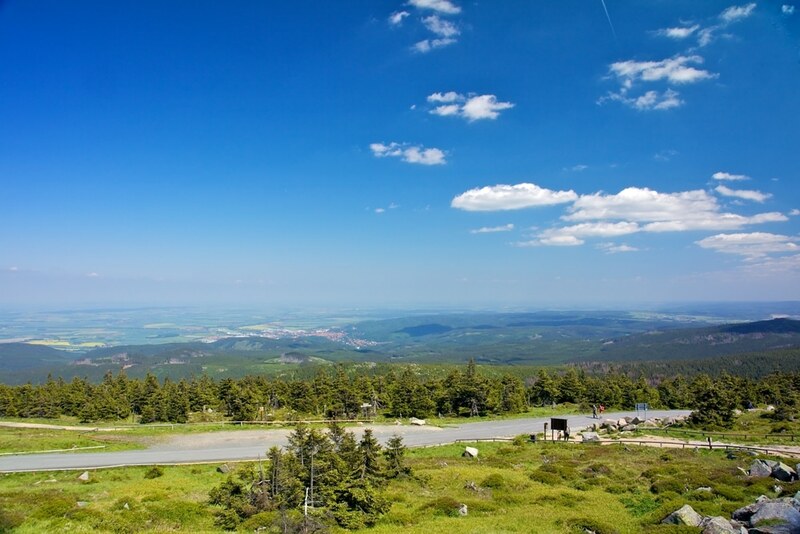 One of the more interesting things to do in the Harz Mountains is the steam train ride up to the top of the mountains, all the while stopping in the many tiny little towns, like Wernigerode and Brocken.